In the SPA center of KENDROS hotel the dynamic daily round will remain behind you and you will sink in a world of bliss, relax and harmony. With us you will discover a new world of beauty and tranquility. Here you can relax, free of the stress and take care of your internal calmness and your good appearance. 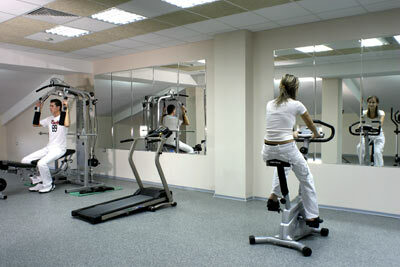 You will find at your disposal a sauna, a jacuzzi and a modern fitness-center. With the help of our powerful solarium POWERDOM you can achieve your dreamt and healthy sunny taint!